Patrick Lodes has been a financial advisor in the St. Louis area since 2003. Helping clients work towards their financial goals is his main focus. His entire career was spent with Edward Jones before joining Cornerstone Wealth Management in August of 2012. 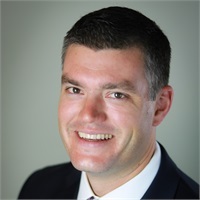 Patrick currently holds the AAMS designation from the college of financial planning, along with the Series 7 and 63 registrations through LPL Financial, and Series 66 registration through both LPL Financial and CWM. Patrick graduated from Saint Louis University in 2003, majoring in Finance. In his free time, Patrick and his wife Joanna enjoy traveling and spending time with their four daughters Maggie, Kara, Sophie and Molly.